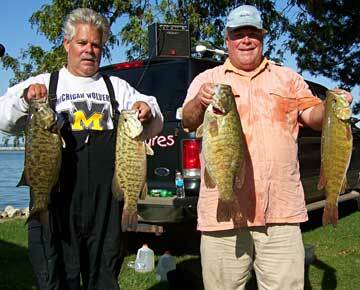 “This catch is by far my biggest tournament limit ever. 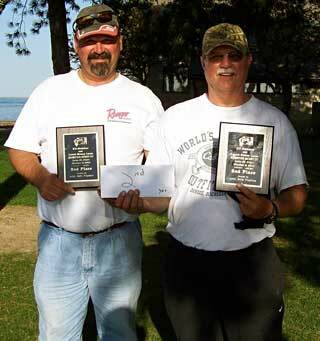 We had a couple 24 pound limits earlier this year, and I had the 24-2 in the BFL (a personal win for Dobson on St. Clair this summer). 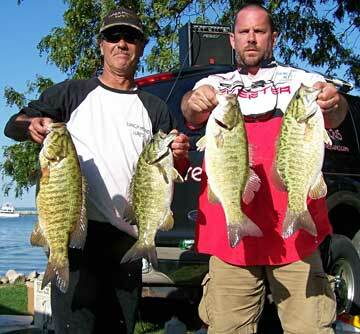 During the Fish for the Pros up North last year, I estimate we had about a 28 ½ pound bag, but you only bring back your biggest two bass to that weigh in,” says Dobson. Dobson has had a real good season in 2010 with a number of wins in NBAA events, the BFL, Monsterquest, 5 or 6 maybe. His job as a manager for a cable contractor out of New Jersey gives him valuable flexibility in his schedule though he can’t always fish all day due to the type of work and large number of people working for him. 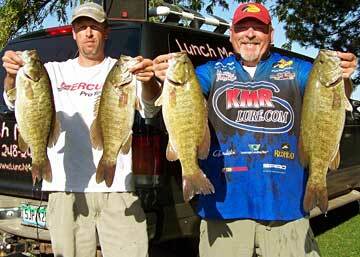 Besides Provider Tackle, Scott Dobson is also sponsored by Ranger Boats and Evinrude.